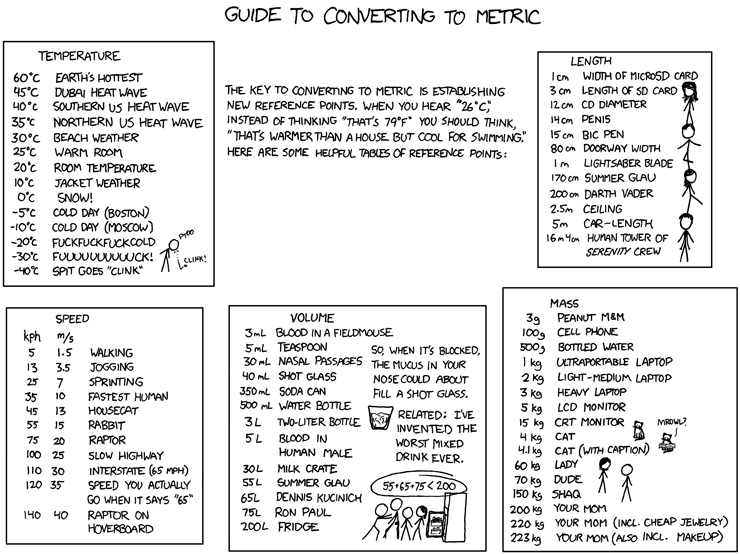 Republished from XKCD: A webcomic of romance, sarcasm, math, and language. Need of transferring Google Earth Data to a GIS? Kml2shp transforms KML files into ESRI Shapefiles. Download. Windows program. No Mac version. The KML file could contain Points, Paths and Polygons. When creating SHP files the information is separated into thematic layers. 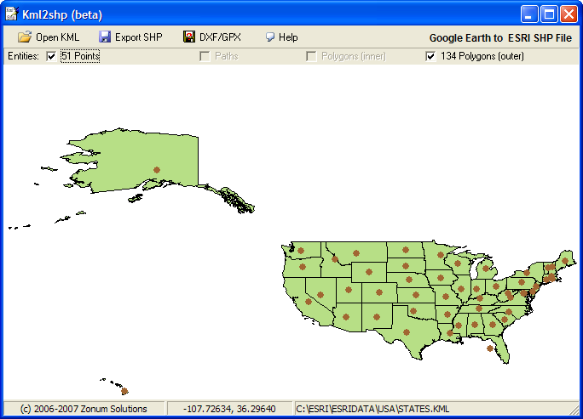 For each shapefile (shp), an attributes table (dbf) and index file (shx) are created. 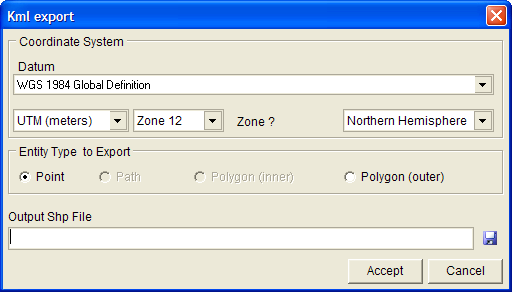 Optionally, you can change from WGS84 to a local datum and from Lat/Lon to UTM. installed, just unzip it and run it. kml2shp.zip contains the executable file (kml2shp.exe) and some bpl files. If you receive a message error about missing bpl files, come back here and get them.